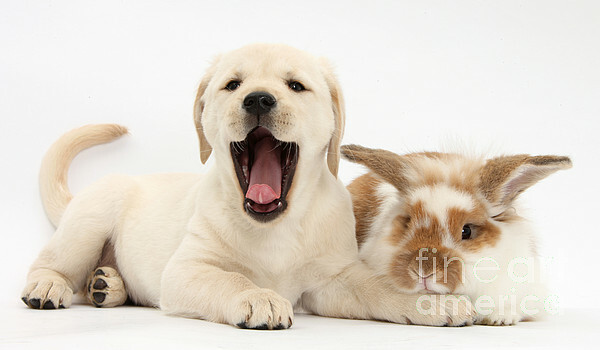 There are no comments for Yellow Lab Puppy With Rabbit. Click here to post the first comment. 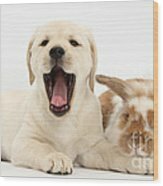 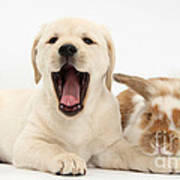 Yellow Labrador Retriever puppy, 8 weeks old, yawning, with brown-and-white rabbit.